The Rogue CSA Share this Week! 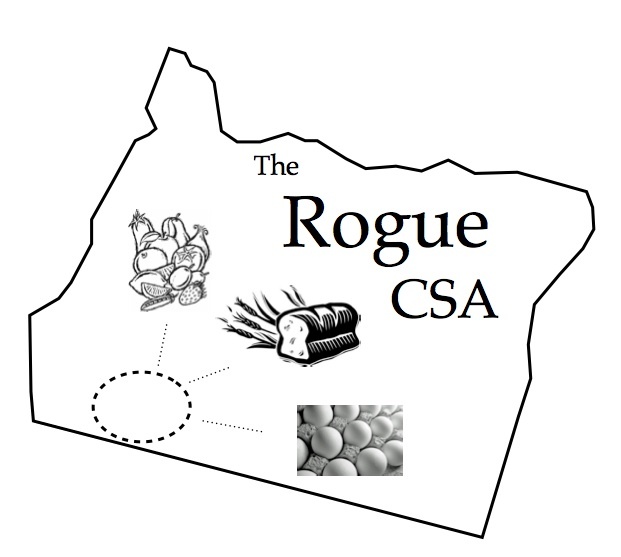 We’ve got a host of local fare in the Rogue CSA Share this week, from Rogue Produce! Our Standard Share includes fresh corn tortillas made by Jennifer Greene of Windborne Farm; TouVelle Cheese from Rogue Creamery; arugula from Dunbar Farm; and white onions and potatoes from Ben Yohai of Wandering Fields. The Standard Share also comes with a 6 oz. jar of Cinnamon Maca Almond Butter to pair with deliciously crisp organic Opal apples; and a seasonal favorite, persimmons, for which we’ll provide a popular recipe included in your delivery (ever tried persimmon arugula pasta?). The Plus Share this week focuses on the amazingly flavorful Chorizo sausage from White Oak Ranch in Eagle Point. We’re including fresh cilantro and leeks from Dunbar Farm, and butternut squash from Ella Bella Farm, to prepare a yummy looking squash and Chorizo tostada (using the tortillas from the Standard Share). We’ll be including that recipe along with your delivery as well! Of course, you can always order whatever delicious local produce you’d like from our Online Farmers Market, or maybe just a block of organic butter, apple juice, olive oil, pizza dough, smoothie mix, or others to go along with the Standard or Plus Shares described above. 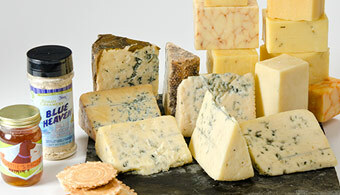 This week we have some serious sales on a variety of cheeses from Rogue Creamery, so it’s a great time to join! Orders for our next delivery this Friday, December 1st, need to be submitted by Tuesday at 4:00 PM. You can sign-up for any of our convenient service options, and start shopping for your local favorites. We make home deliveries from Ashland to Grants Pass, and Jacksonville to Shady Cove. Rogue Produce makes a great gift idea for the holidays, and, you receive a $10 credit to our Online Farmers Market for every new customer you refer. Hope you’ve had a joyful Thanksgiving weekend, and wishing you all the best this Holiday Season!